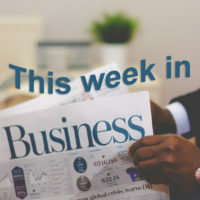 Verizon acquires Yahoo in a multi-billion dollar deal, Carlsberg Group sets huge green goals, and the Federal Reserve bumps up the interest rate in this week's business review. Didn't have a chance to keep an eye on the news this week? Here's what you missed in this week's business news review.